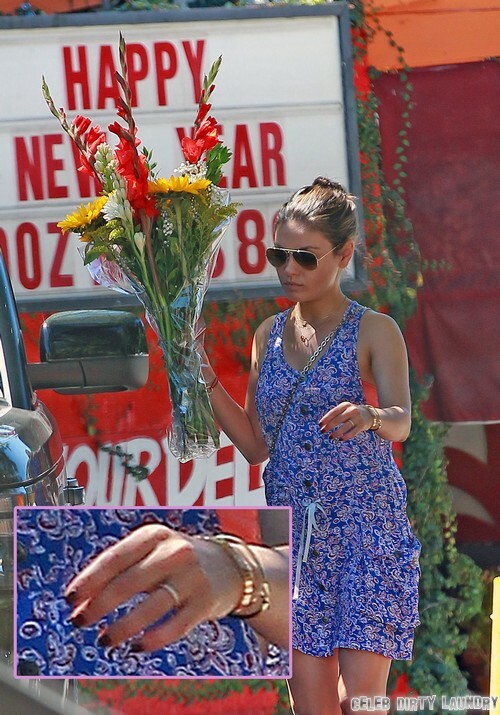 Ashton Kutcher And Mila Kunis Secretly Engaged – Ready To Marry Soon? I think it’s pretty much a given at this point that Mila Kunis and Ashton Kutcher are going to get married soon, and it’s actually becoming a legitimate possibility that Mila might be pregnant. In Touch Weekly agrees with the common consensus, and they’ve come up with their own report to back up that claim. It’s like their facing some sort of giant monster or something – ‘now nothing can stand in their way’. Jeesh, over-dramatic much? It does seem weird that Mila and Ashton are jumping into this whole marriage thing so quickly, but it’s possible that they just couldn’t wait any longer. Oh, to be beautiful, rich, attractive, famous, and without a care in the world. There’s also an additional report from the National Enquirer that claims that since they’re pretty much engaged, Ashton and Mila are now fighting over their prenup. Apparently, Ashton wants to get a prenup and protect his ‘massive fortune’, but Mila’s pissed because she stood by his side through the whole Demi divorce fiasco and now just feels insulted. I don’t know if I buy that report completely – while Ashton probably has more money from his Two and a Half Men paychecks, Mila’s not exactly hurting for cash. In fact, she probably makes more money doing movies than Ashton. And obviously, they both are rolling in syndication money from That 70s Show. Gwyneth Paltrow Versus Vanity Fair: VF Backing Down?